Earlier this month, the National Park Service hosted a public meeting at the Southwest branch library to discuss plans for the former Buzzard Point Marina property at the tip of Buzzard Point, adjacent to the planned Peninsula 88 condos. The marina closed earlier this year and NPS has been trying to decide how to reuse the park, which will become a much-needed open space refuge as the rest of the peninsula is redeveloped over the next several years. Buzzard Point Park has 3.4 acres of land area with 1,500 SF of shoreline. The park is an irregular shape which ranges in width from 50 to 200 feet. Inspired by the native marshland that historically softened the transition between land and water, the design concept for Buzzard Point Park seeks to restore the natural beauty of the site. 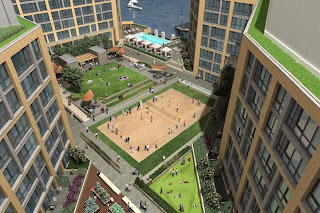 Located in a busy urban area, Buzzard Point Park will become a place where residents can stroll down a shoreline promenade lined with trees and marsh grasses, muffling the sounds of the city. The waterfront, once inaccessible, will be transformed into a peaceful retreat for both recreation and relaxation. The design begins with the shoreline. In sharp contrast to the hard lines traditionally used in waterfront parks, this concept uses soft edges and organic shapes defined by native marsh plantings. This holistic approach provides shoreline stability and flood protection, while making the waterfront accessible. To enhance this experience, a kayak share program is proposed to allow residents a new way to engage with the waterfront. Along the Anacostia Riverwalk Trail are a series of Recreational Pods (Rec Pods) offering a variety of play, education, and interpretive opportunities. These spaces are intended to be more multi-functional to meet a variety of recreational needs. Each space can be designed to meet a specific need such as a play area, a splash pad, rest stop, fitness station, public art display, or a simple open lawn area. Visitors seeking active recreation will be able to use the continuation of the Anacostia Riverwalk Trail, linking to the existing trail ending at Diamond Teague Park. Two design concepts were revealed during the presentation. Common to both concepts are water-based activities with a natural shoreline and a waterfront trail in a unique park setting. The existing Earth Conservation Corps (ECC) building would be repurposed to contain restroom facilities, a kayak launch, and other park support amenities. 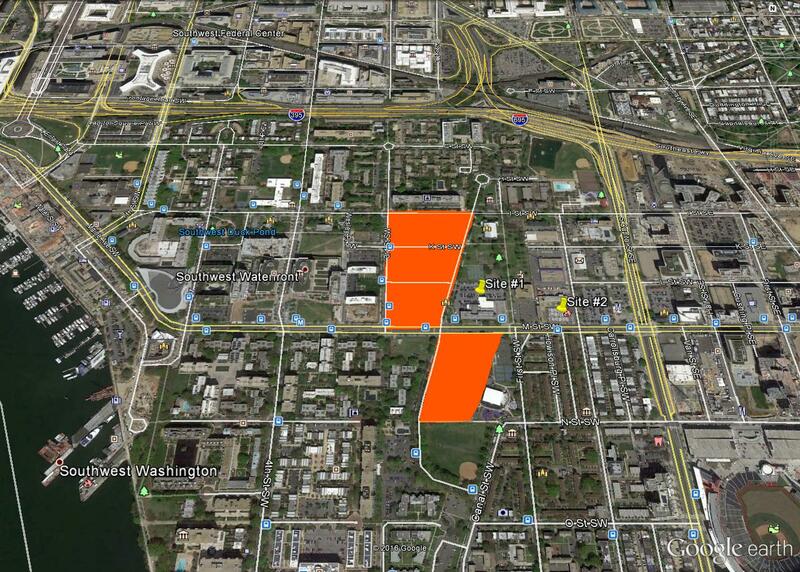 A small parking lot would be located at the north end of the park near the ECC building. Neither of the concepts include a marina, although some people requested one be included at the public meeting. 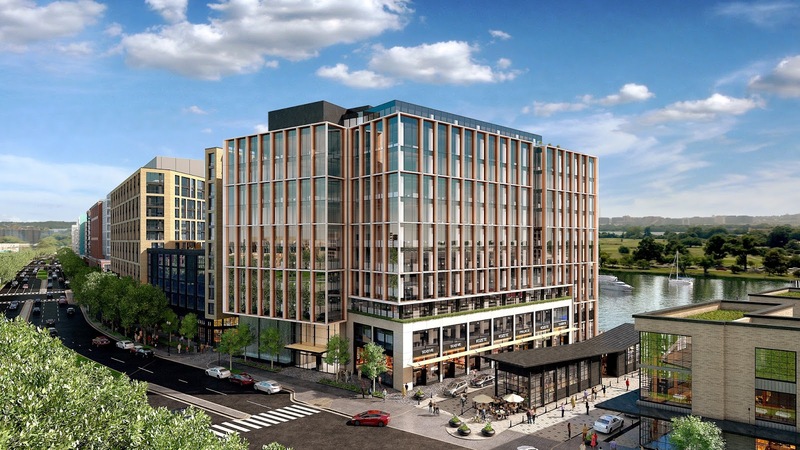 Concept 1 creates a large open lawn and two trails – a 20-foot wide multi-use extension of the Anacostia Riverfront Trail and a 10-foot wide pedestrian promenade closer to the water. 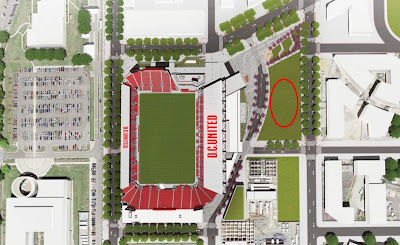 A landscaped buffer area would be located on the west side of the park, connecting the lawn area with an arrival plaza along 1st Street. Concept 2 also includes a pedestrian promenade, but the Anacostia Riverfront Trail would be located on the river itself with overlooks, leaving more space on the land side for a heavily forested tree canopy and steps leading to the water. For more information about the concepts, check out the NPS’ project website. The public comment period will run through January 27, 2017, after which the concept plans may be revised. Then, the final concept plans will be developed and will be vetted during the NEPA process. As funding becomes available to build the park, it will likely be completed in phases. Part of the exterior of Riverside Baptist Church is being removed in preparation for demolition (a demolition permit was submitted back in September). The stone exterior will be reused in the new church that will be constructed at the corner of Maine Avenue and 7th Street. In addition to the new church, a 173-unit apartment building will be built at the intersection of 7th and I streets by PN Hoffman. About 10% of the apartment units will be set aside as affordable housing for households earning up to 50%, 80% and 100% of Area Median Income. There will be space on the ground floor of the apartment building for community-serving uses, such as a daycare center. During construction, Riverside patrons will be worshiping at Jefferson Academy Middle School. Jefferson is also hosting AppleTree in a temporary trailer while a new home for the charter school is built at District Wharf. 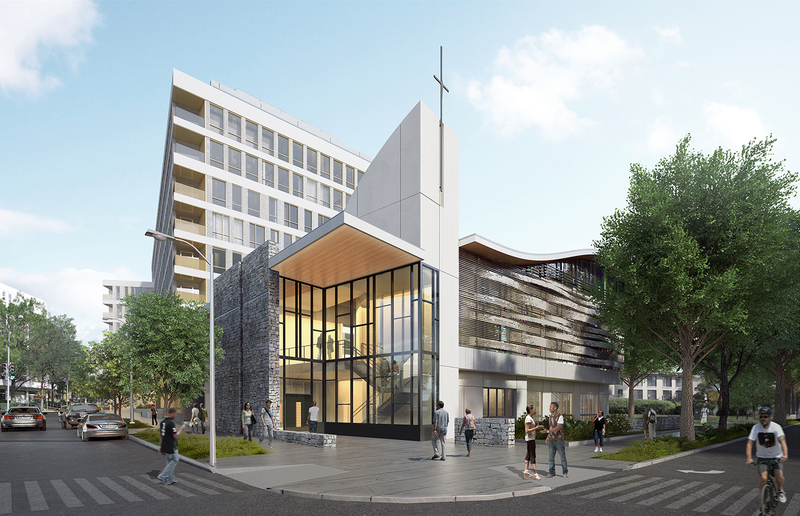 The new Riverside Baptist and apartments should be completed in 2018. Other multifamily buildings that are expected to start in 2017 include 1399 Maryland Avenue and The Kiley on 4th. 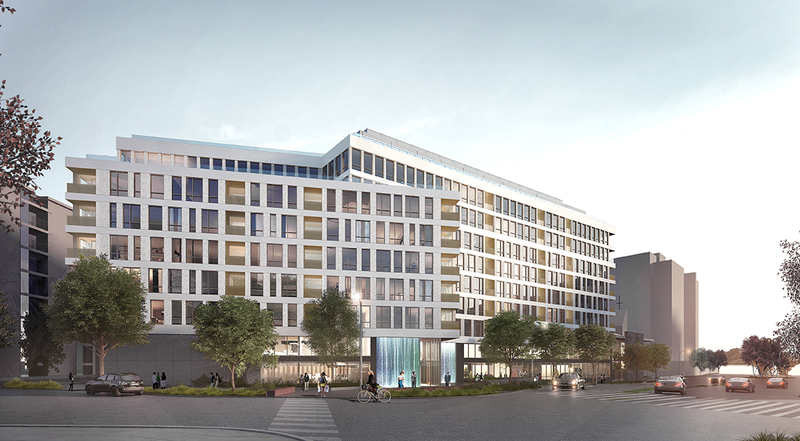 Over 680 units in three projects started construction in 2016 – 301 M Street, St. Matthew’s, and View at Waterfront. Signage is now up for Eliot on 4th, the 365-unit apartment building at Waterfront Station. Leasing is expected to begin in the first quarter of 2017. According to a story in The Washington Post, there was a robbery on December 14 at the Waterfront Station CVS that was caught on video. A security guard was beaten and robbed by a group of people. If you have information regarding the robbery, contact MPD by calling 202-727-9099 or text 50411. Design concepts were unveiled last night at a community meeting to discuss the planned Ward 6 short-term family housing facility to be built at 850 Delaware Avenue. The site is currently occupied by a District-owned building that contains Unity Health Clinic. A new health clinic is planned as part of the new housing facility, located primarily on the lower level of the building with an entrance on I Street. The proposed building, designed by Studio 27 Architecture, will be seven stories tall and will house up to 50 homeless families at one time. On the ground floor of the building, there will be a dining room and kitchen, as well as a computer lab and administrative space. A fenced off play area will be created along Delaware Avenue. Each residential floor will have a common area on the north side of the building with TVs and seating where programming will be administered – these rooms will have views of the Capitol building due to their location along Delaware Avenue. 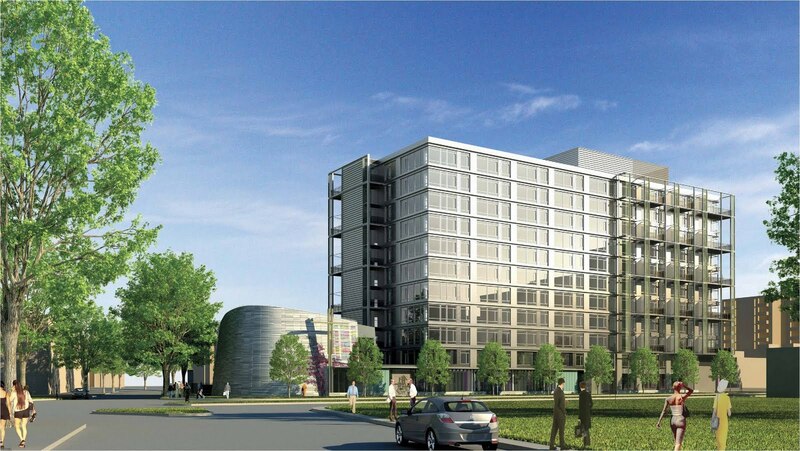 In addition to the larger play area along Delaware Avenue, each floor will contain an outdoor play area. 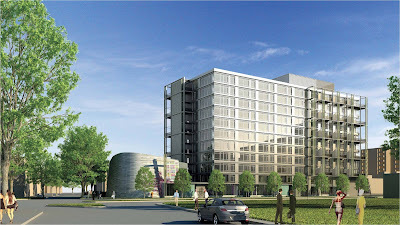 The design of the building maintains the view shed of the Capitol dome along Delaware Avenue by gradually stepping back the façade, creating small green spaces throughout. There will also be a large green roof, which helps the building obtain LEED-Gold certification. 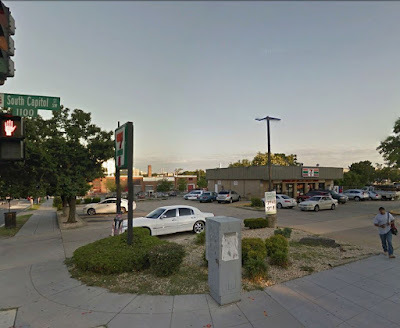 Back in February, the community was alerted to the fact that the city selected 700 Delaware Avenue (a site adjacent to Blind Whino) as the location of the Ward 6 short-term family housing facility. 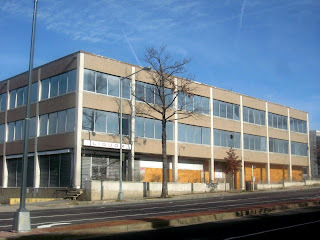 The Bowser administration wanted to close DC General and place a family homeless shelter in each ward of the city. 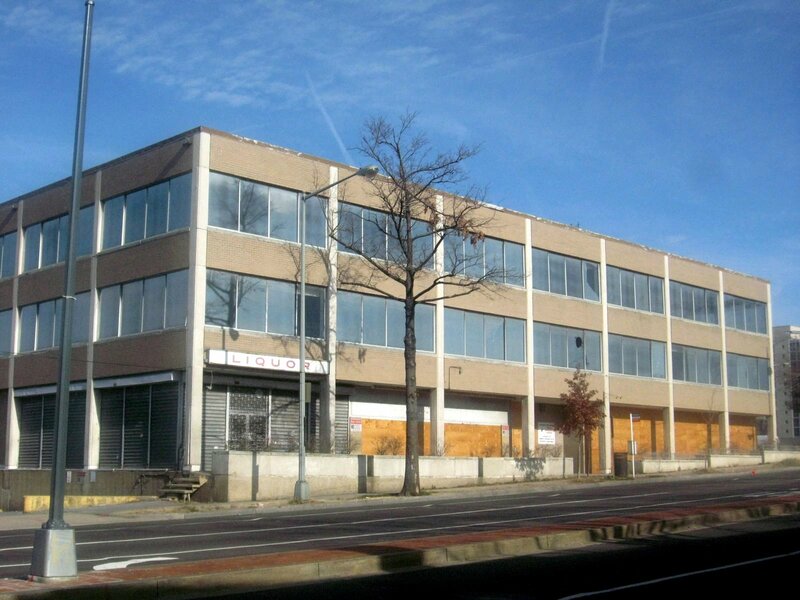 After some community concerns were raised about the proposed 700 Delaware Avenue site, how it was selected, and the cost to the city for leasing it for the shelter, the DC Council changed the location to the District-owned 850 Delaware Avenue site. An Advisory Team was created to allow a variety of voices from the community to provide input on the plan and design for the project, including the ANC, Council member Charles Allen, and neighbors Greenleaf, Capitol Park IV, and Telesis (developer of the Randall School project). The facility's design will be refined over the next few weeks and the city will submit an application with the Board of Zoning Adjustment in January for the project, with the hope of starting construction after approval by November 2017. The Ward 6 facility is anticipated to open by the summer of 2019 when a Good Neighbor Agreement will be drafted. The buyer of both of these lots is an affiliate of DBT Development Group, a Capitol Hill-based company that specializes in condominium development. 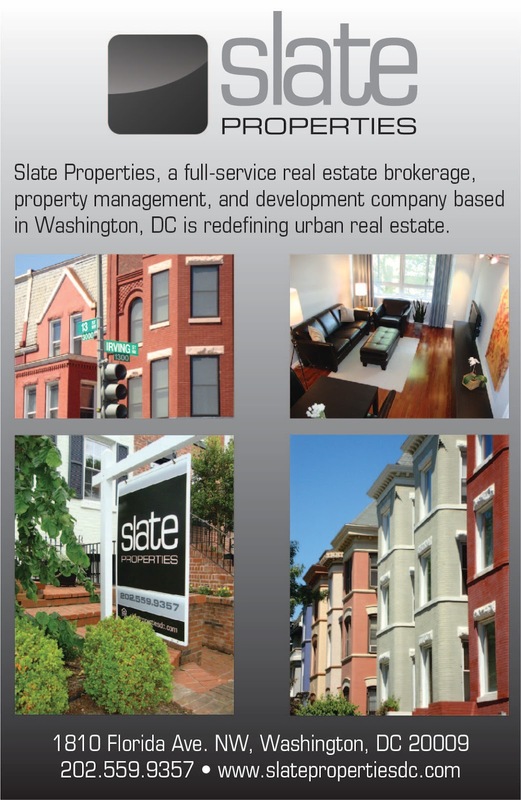 Their most recent project was the Maryland Condominiums near the H Street NE corridor. 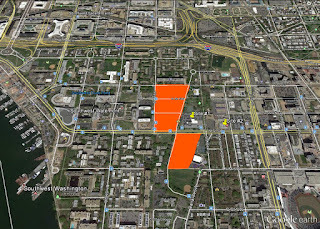 They recently purchased a site not too far away on L Street SE in Near SE/Capitol Riverfront/Navy Yard and plans to build condominiums there in 2017. 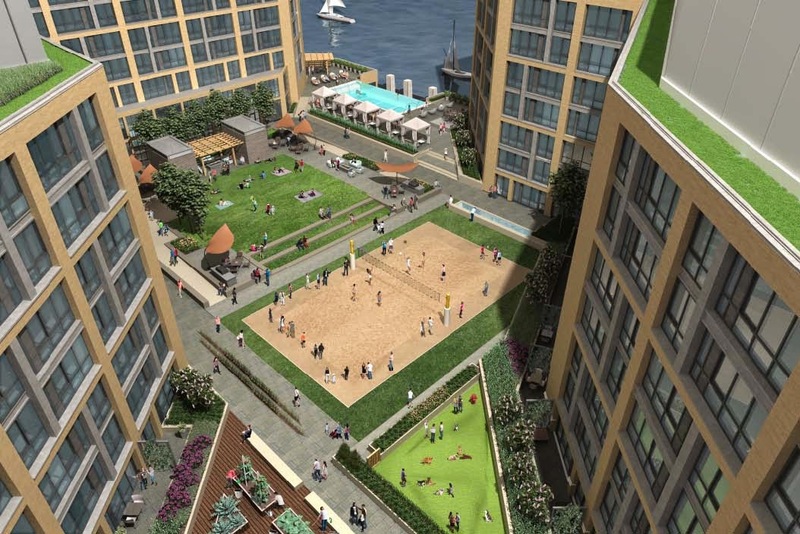 The 1st and Q streets site would be the second condominium building planned for Buzzard Point. 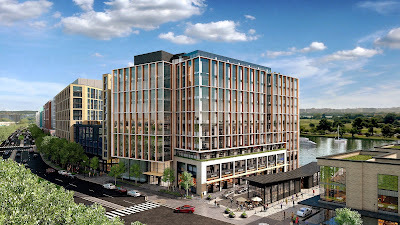 Capital City Real Estate is planning to build Peninsula 88 next to the shuttered Buzzard Point Marina at 1st and V streets and ANC 6D is scheduled to vote on proposed changes to the PUD for this site at this evening's January's monthly meeting. In a departure from the old demolish and install engineering methodology, or the current preserve and protect model, we are adding and expressing new natures. The real future in today's debate about sustainability lies not in a political or philosophical dialogue about what we are protecting or how we are going to 'sustain' it, but rather how to actively create new ecologies. Creating land and then painting it: in many ways, this is the soul of Dutch culture. Riverpoint is a planned mixed-use development on the site of the former Coast Guard headquarters at 2100 Second Street, spearheaded by Western Development, Akridge, Orr Partners, Redbrick LMD LLC and Jefferson Apartment Group. 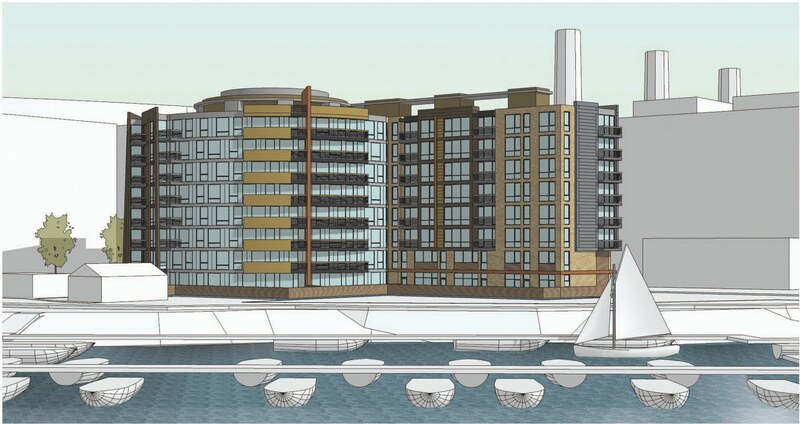 Anticipated uses include apartments, condos, 80,000 SF of retail, and floating restaurants. 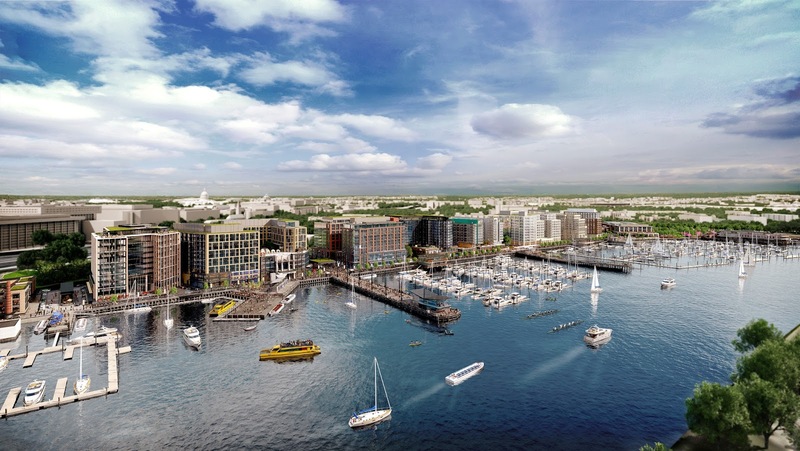 Developers filed with the Zoning Commission last month a request to review and approve a “Modification of Significance” for the planned condo project at 1st and V streets on Buzzard Point, formerly known as Marina Place condos. 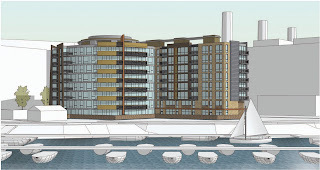 Since Capital City Real Estate purchased the land for this project, located just north of the shuttered Buzzard Point Marina, plans changed for the design of the building and the condominium project is now called Peninsula 88. The previous design resulted in pie-shaped units, creating awkward floor plans that would be difficult to furnish. In addition, there were fewer two bedroom units and the 1 bedroom units were larger. 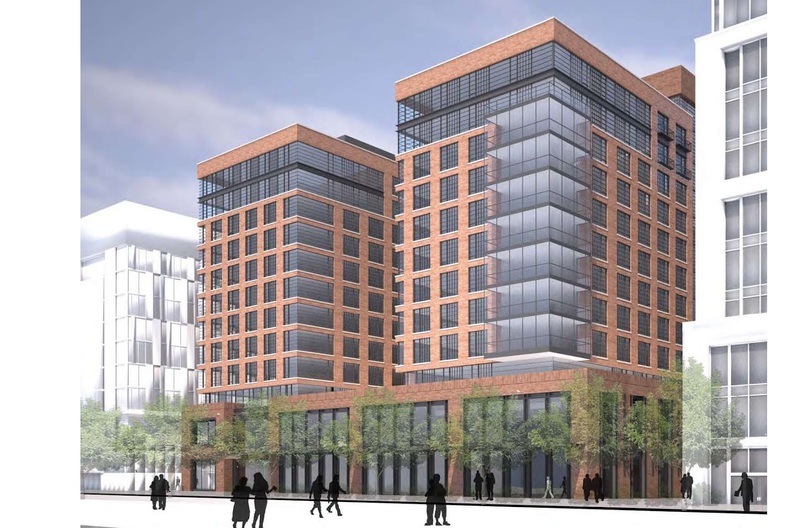 The revised design will incorporate 97 condo units in an eight-story building with the flexibility to have between 75 and 110 units. This includes five 2-story “rowhouse” units along V Street with direct access from the street. Ground floor units will have terraces and the upper floors will have balconies. Some units on the top floor will have private rooftop decks. A communal rooftop deck also will be available for residents with a fire pit, outdoor grill, dining table, and various seating including chaise lounges, dining chairs, and benches. Unit sizes range between 1,300 and 1,500 SF. 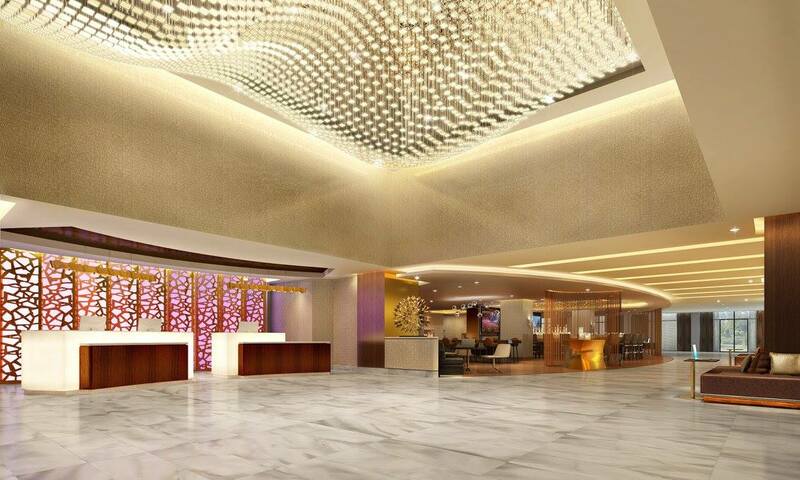 The project is designed by Eric Colbert & Associates and will seek LEED-Silver certification. Some of the green features include an extensive green roof and bio-retention tree pits. Building materials, include precast concrete wall panels, aluminum vertical fins, and glass railings on the balconies. There will also be 1,800 SF of retail along 1st Street. Parking will be provided in a garage with 70 spaces (an additional 44 “vault” spaces will be provided if approved by the Zoning Commission since they would be located in public space) and 38 bike parking spaces. 25th Annual Parade of Lights and Amidon Fundraiser on Saturday! The 25th annual Parade of Lights will take place along the Southwest Waterfront on Saturday, starting at 5pm. The parade features boats decorated with lights which will make their way up the Potomac River from Old Town Alexandria towards the Washington Channel and the District Wharf. There will be other activities as well, including photos with Santa, a bonfire, gingerbread cookie making, and sailboat crafting. Although the current forecast high for Saturday is 48 degrees, event planners guarantee there will be snowfall. The event will end at 8pm and the location is 600 Water Street. 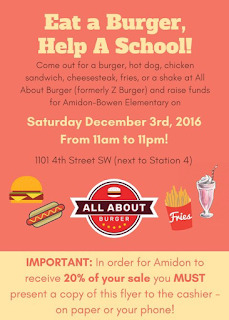 Also on Saturday, there will be a fundraiser at All About Burger for Amidon-Bowen Elementary, so you can grab a burger before or after the Parade of Lights for a good cause. 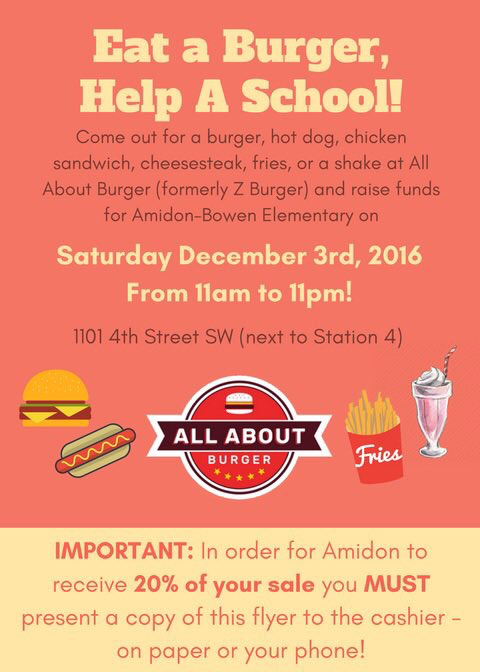 Below is the flyer that must be presented to the cashier when ordering food so Amidon-Bowen receives the proceeds. Don’t forget about the Christmas tree giveaway on Saturday morning at the St. Matthew’s lot (3rd and M streets).